#1 How to Get the Most out of Your Biometric Gun Safe? 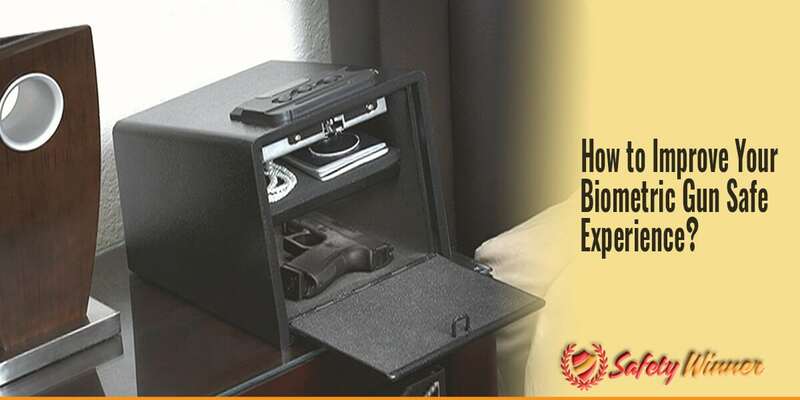 Biometric gun safes are the new and most advanced way of storing guns. These safes not only provide you with fast access to your weapons, but most of them have onboard computers that will shut out any intruder and go in a total lockdown mode. Many people simply just like to buy things that are biometric and they believe that it is the best because of the expensive prices. The truth is that they are only more expensive because more expensive and advanced technology has been used to craft them. Generally, modern biometric gun safes come already packed with multiple high-quality features and thus it will not be that expensive to improve the already advanced safe, but there are still a few improvements that can be made to ensure that you have more functionality from your safe and to give you more comfort. How to Get the Most out of Your Biometric Gun Safe? By reading further, you will find a few cheap and useful tips to help you improve the functionality of your biometric gun safe. These tips are quite affordable and they will definitely give you more long-term value. I have looked for the cheapest ways to help save you money, but there are a few more expensive ones on the list that we have not yet discussed. Clutter is extremely difficult to get rid off once it starts to accumulate around the house and if the entire house is full of clutter, you can be sure that your safe will also be heading that same way and start to accumulate clutter. There are really some safety issues around clutter and aside from making the safe fuller than average, you will not be able to get to your firearms in a fast and timely manner and this could make the difference between life and death. 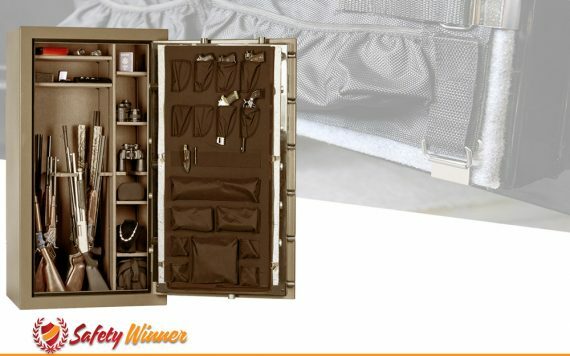 Gun safe door organizers are brilliant in terms of having added sleeved pockets for your smaller items and some of them will even have holsters that will allow you to store multiple handguns for quick access. It is imperative to take note of the dimensions when you are looking for a door organizer, as it will need to fit snug against your door. Door organizers are lightweight and a lot cheaper than buying a new safe. So, effectively, you will now have two safes for the price of one and we consider this to be the real value. Most biometric gun safes feature standardized AA batteries. This is great and they will last you a long time, but they need to be replaced at least once a year and they limit the functionality of the safe. Lithium-ion batteries are stronger than AA batteries and also they will last you much longer. They might be more expensive at first, but you can be sure to get the best value in a short span of time. There are a few lithium-ion powered safes that will even offer you charging slots for some of your items and they will be able to sustain gun safe lighting features. Most built-in lighting features are only available when the safe is powered by a lithium-ion battery. The pricing of these batteries might be heavy, but this can be seen as a quality investment in the future to ensure that you have the perfect opportunity to maximize the usability of the safe and a trusted battery that won’t easily let you down like many AA batteries have been known to do. Even though biometric gun safes are packed with features and they are all technologically advanced, many of them do not necessarily have backlights or even internal lights that will help you see where your items are when you need them. Gun safe lighting features can certainly make the difference between saving lives and putting your family’s life in harm’s way. 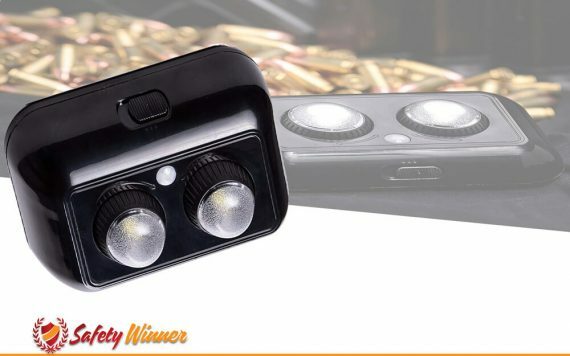 Furthermore, gun safe lighting features are cheap & really affordable and you will be able to choose between the mounted lighting features and the stick-on features. This should definitely be an investment that one needs to give a shot. The mounting features are usually powered by electricity and some can even be connected to the battery powered system of the safe, but the stick-on LED lights are mostly battery powered. Gun safe lighting features will ensure that you have a clear view of the safe at night and while the biometric feature will speed up the access, you could lose a lot of time by searching for the firearm in the dark. A few of the gun safe designer has been known to give this with the product and to have it already built in, but the truth is that every person will be able to put this interior lining in the safe. The lining will ensure that water cannot penetrate the interior and it will also aid in keeping the heat out of the safe. Plastic is not as weak as people think and when it has been constructed at the correct temperatures, you can definitely get used out of it and it will become extremely durable. Having this internal water lining will also add another layer of security to the safe and when someone tries to drill it open, you will see that it has another strong barrier that should help keep criminals out.